Pre-heat the oven to 375*F. Then wash and peel the beets. Cut off any bruised pieces. Slice the beets about 1/4 inch thick. 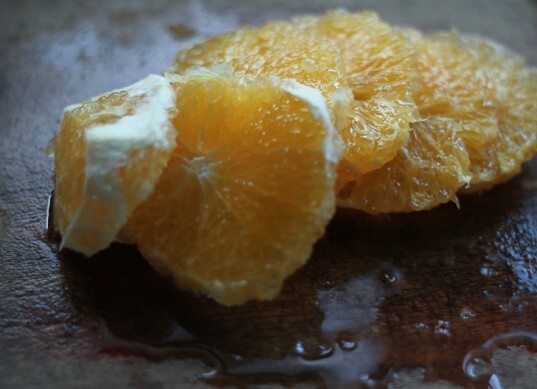 Peel and cut the oranges in half. Slice one and a half oranges and leave the other half to squeeze later on top of the beets. 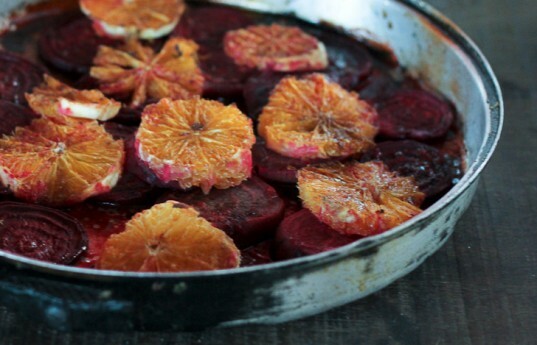 In a large round baking dish layer the beets and oranges. First layer the beets then drizzle olive oil on top. Add the orange slices on top of the beets, then squeeze the orange juice from the left over orange over the dish. Sprinkle brown sugar on top. Bake for 35-45 minutes in the middle rack of your oven, until the beets are soft. 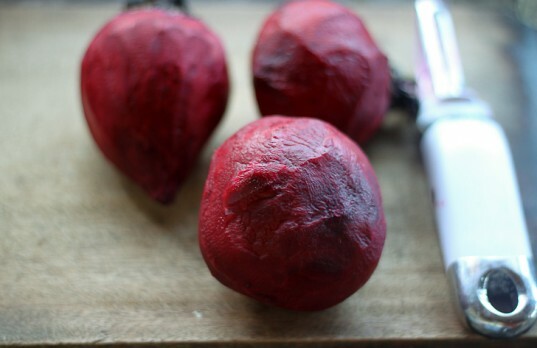 You don’t want mushy beets, just slightly softer beets. Serve warm. This side dish is great with brown rice and a tossed green salad. Wow. I love the light you have! The colors in these are gorgeous. Seriously. 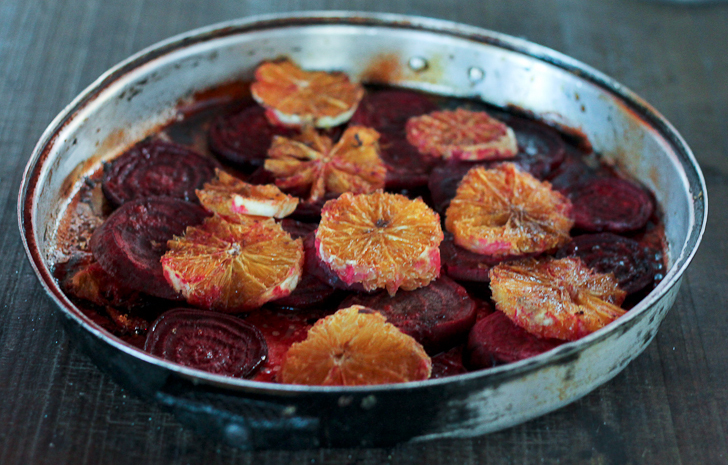 In a large round baking dish layer the beets and oranges. First layer the beets then drizzle olive oil on top. 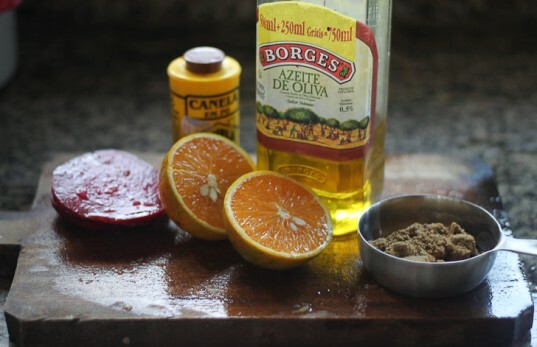 Add the orange slices on top of the beets, then squeeze the orange juice from the left over orange over the dish. Sprinkle brown sugar on top. 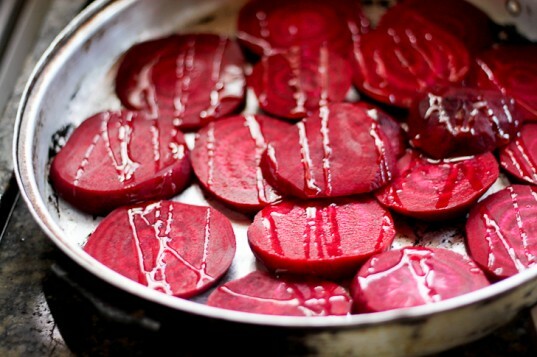 Bake for 35-45 minutes in the middle rack of your oven, until the beets are soft. 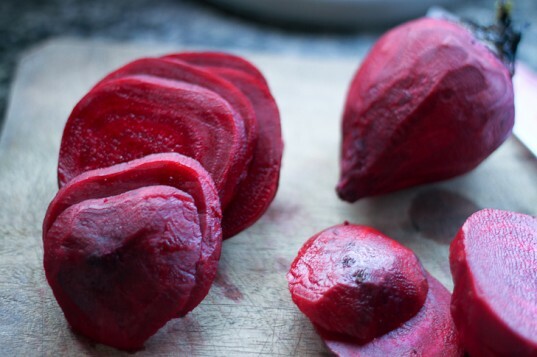 You don't want mushy beets, just slightly softer beets. Step 5: Serve Serve warm. This side dish is great with brown rice and a tossed green salad.